St Ann’s is a co-residential university college located in North Adelaide. With over 180 residents from diverse backgrounds, St Ann’s Mission and Values are to provide a safe and secure college environment while promoting the highest standards of academic achievement and personal development in an environment that should feel to students as a home away from home. Incumbent Principal, Dr Rosemary Brooks is retiring in mid-2019 after more than 30 years of exemplary service, creating a unique opportunity for a proven, contemporary educational leader to join St Ann’s staff, students and community on the next stage in its journey. promote the college and its foundation both locally within Adelaide, interstate and in regional Australia to ensure its longevity and position as one of Adelaide’s premier residential colleges. Applications are encouraged from appropriately qualified and experienced individuals with excellent communication, negotiation, leadership, strategic planning and commercial management skills. These will be complemented by the warmth, integrity, authenticity, energy and passion necessary to engage with, champion and inspire the College community. An authentic motivation to embrace this role and the College’s ethos will be vital, as will be a genuine connection to St Ann’s students both past and present. Applications should be addressed to Andrew Reed. Please click on the Apply Today button to submit your application. For a confidential discussion, please call Andrew or Christian Gaszner on (08) 8100 8827. Please note: Your application will be automatically acknowledged by return email. Saint Ignatius' College, Adelaide is a leading Catholic, co-educational, day school conducted by the Jesuits and inspired by the Ignatian charism. The College caters for more than 1,400 students across an Early Years and Junior Campus (R-6) and a Senior Campus (7-12). Established in 1951, the mission of the College is to provide a premium education that encourages students to a life-long development of their faith and service. It aims to produce people of conscience, compassion, competence and commitment who make the world a better place. The College has a proud record of excellent academic results and supporting all students to reach their potential. undertaking special human resources projects as required. The successful candidate will need to have an affinity with and preparedness to support the Catholic ethos of the College. Modern schools are diverse, vibrant and rewarding environments. Make an enquiry to explore this opportunity to apply your HR experience and skill to this leading Catholic School and make a true impact on the lives of young people. For a confidential discussion, please call Andrew or Lucy Dinnison-Mitchell on (08) 8100 8849. The Essential Services Commission is an independent statutory authority that regulates the provision of essential services in the water and sewerage, electricity, gas, ports and rail industries. The Commission conducts formal public inquiries and provides advice to South Australian Government on economic and regulatory matters. The primary objective of the Commission is to protect the long-term interests of South Australian consumers with respect to the price, quality and reliability of essential services. The Commission is committed to providing thought leadership in economic regulation and regulatory policy and undertakes extensive stakeholder engagement to inform its work. Reporting to the Manager, Licensing and Compliance, the responsibilities of the Licensing and Compliance Officer are diverse, with a focus on broad internal and external stakeholder relationships. One key aspect of this role focuses on case management by assisting with the assessment of licence applications and compliance matters. This includes the preparation of recommendations and written reports in relation to the application assessments undertaken where no two applications may be alike. The role is also responsible for the conduct of audits and compliance investigations, preparing advice for internal and external stakeholders as well as assisting with the administration of the Commission’s regulatory frameworks. Applications are encouraged from candidates who are able to demonstrate advanced research and critical analysis skills as well as the ability to work effectively with high work volume and strict deadlines. Tertiary qualifications in business, law, economics or an associated relevant discipline will be highly regarded, as will be experience in, or an understanding of, regulated environments such as electricity or water. The Commission and the South Australian public sector promote diversity and flexible ways of working, including part-time. Applicants are encouraged to discuss the flexible working arrangements for this role. This is a rare opportunity to join a highly professional organisation and contribute to the delivery of better outcomes for South Australians. Applications should be addressed to Justin Hinora. Please click on the Apply Today button to submit your application. For a confidential discussion, please call Justin or Christian Gaszner on (08) 8100 8849. Women’s Safety Services SA (WSSSA) supports women and children who are experiencing and/or escaping domestic and family violence. WSSSA provides a range of programs and assistance to women and their children who are living with or escaping domestic or family violence. leading, mentoring, motivating, developing and managing the small, dedicated team. This position will suit a hands on and appropriately qualified accounting professional who can demonstrate the ability to transition into a government funded social services environment, where there are strict project based reporting deadlines. Excellent project management, process improvement, stakeholder management and influencing skills are essential to be successful in such a role, along with drive, energy, resilience, teamwork and a genuine affinity and empathy towards the work of WSSSA. This role could suit an emerging professional seeking to develop their management experience, or an experienced operator wanting to make a genuine contribution to this worthy organisation. Applications should be addressed to Justin Hinora. For a confidential discussion, please call Justin or Lucy Dinnison-Mitchell on (08) 8100 8830.
providing advice and guidance relating to performance management, talent management, succession planning and ER/IR matters. Applications are sought from appropriately qualified individuals with proven experience in a similar generalist people and culture advisory role. The suitable candidate will be a critical thinker with a ‘can-do’ attitude, and a professional and collaborative approach to coaching staff in resolving people and culture related matters. They will be self-sufficient, confident in their abilities, and passionate about contemporary HR practices. Versatility, warmth, diplomacy, professionalism, vision, drive, energy, an internal service focus and excellent relationship building skills will also be required. A strong working knowledge of industrial relations legislative frameworks and practical experience communicating and advising on Awards and EBA’s is essential. This role is being offered at 0.7FTE and provides an outstanding opportunity for a people and culture professional seeking flexibility, whilst contributing to this worthy organisation. liaising with employer and employee representative organisations and relevant networks. The successful candidate will have previous experience in a hands on people and culture support role and possess a proactive and collaborative approach. The role will suit a sharp, pragmatic, energetic and supportive team contributor with a high degree of initiative, exceptional attention to detail, excellent interpersonal and written communication skills, warmth, versatility and the ability to prioritise tasks in a busy work environment. This is an excellent opportunity for an experienced support professional to develop their people and culture experience and contribute to this worthy organisation. achieving a positive wellbeing and safety culture, ensuring that the responsibilities are understood and implemented across the organisation and sites. Applications are encouraged from appropriately qualified professionals with demonstrated experience in implementing contemporary wellbeing, health and safety practices. The successful candidate will be positive by nature and focussed on streamlining processes that result in improved systems and operational effectiveness. Of critical importance, candidates must demonstrate highly developed influencing, consultation and collaboration abilities, superior communication skills and a genuine ability to engage stakeholders in establishing and maintaining productive relationships. Strong working knowledge of the Work Health and Safety Act is important. This role is being offered at 0.6FTE and provides an outstanding opportunity for a WHS professional seeking flexibility, whilst contributing to this worthy organisation. Engaging a workforce over 2,400 and with a turnover circa $160m, Resthaven Incorporated is recognised as a leader in the rapidly growing aged and community services sector in South Australia. Resthaven has over 21 sites across the Adelaide metropolitan and regional South Australian area and is highly respected for the provision of responsive quality services to older people and their carers. An opportunity exists for a highly energised, community focussed and motivated professional manager to join this respected aged care provider to lead and manage the Resthaven Mt Gambier site, which operates a 100 licence care facility, including a serviced apartment (under retirement living). Constructed in 2011, this state-of-the-art and resourced facility is located in the heart of Mt Gambier. As the Manager Residential Services you will assume all leadership responsibilities and become part of Resthaven’s supportive and progressive management team. This leadership role will enable you to utilise your strong clinical and management skills in a facility and environment that is recognised as highly community and customer focussed and dedicated to the wellbeing and care of its residents. Key responsibilities will include the leadership and management of the large workforce and positive culture, staff development, budget management, quality, ACFI management, as well as maintaining relationships with key external stakeholders including primary and healthcare providers, families, suppliers and community providers. We are seeking experienced senior level candidates, preferably within a human services, aged care/health environment. Tertiary nursing qualifications and AHPRA registration as a registered nurse is required and formal qualifications in business/health management are highly desirable. Applications are also encouraged from candidates’ eager to progress their career and step up in to a leadership role within one of South Australia’s leading aged care providers recognised for its exceptional services. Resthaven operates with corporate and consistent systems and will support the successful applicant by way of education and professional development. Make a difference and join one of South Australia’s leading aged care providers recognised for its exceptional services. As an employer of choice, on offer is an attractive remuneration package, employee benefits, relocation assistance and a highly supportive and collaborative culture. Combine career and lifestyle whilst contributing to the community in the heart of Mt Gambier! For a confidential discussion, please call Justin or Lucy Dinnison-Mitchell on (08) 8100 8827. Camp Quality believes every Australian child impacted by cancer – be that their own diagnosis or the diagnosis of someone they love - should have every opportunity to thrive. They do this by providing innovative programs and services to develop life skills and strengthen the wellbeing of children aged 0 – 13 growing up with cancer, and their families. Applications are encouraged from innovative and well-rounded marketing, brand and communications professionals. Appropriate qualifications and proven experience in developing and maintaining strategic partnerships is essential, as is the ability to effectively communicate with internal and external stakeholders while upholding all of Camp Quality’s values. Central to the role is a genuine affinity with the work of Camp Quality, along with credibility, authenticity, versatility, commercial acumen, intelligence and resilience. Applications should be addressed to Andrew Reed and Lucy Dinnison-Mitchell. Please click on the Apply Today button to submit your application. For a confidential discussion, please call (08) 8100 8827. Minda is a vibrant, innovative and progressive “profit-for-purpose” organisation which exists to support people with disabilities across South Australia. It is a large, complex, multi-faceted organisation with a portfolio that includes service delivery, commercial enterprises, housing and retirement living, supported employment, lifestyle services and respite, and services approximately 3,500 people. Minda is a values based organisation that celebrates passion, respect, accountability, innovation, success and ethical behaviour. With a newly appointed CEO, Dr Clare Allen, Minda is currently undergoing a transformational change in leadership and this has created a unique set of opportunities for strategic governance professionals to join the Board. After dedicated service and commitment, the current Chair, Dr Susan Neuhaus, will be relinquishing her role in 2019 and this creates an opportunity for a consummate and proven governance leader to take on the position. There is also an opportunity for additional Board Members with a particular focus on skills and experience in the areas of finance, disability, aged care, commercial business and clinical governance. Applications are encouraged from appropriately qualified and proven senior executives and non-executives with demonstrated experience leading transformational change within a customer facing service based organisation in an environment of reform. High levels of commercial and political acumen, complemented by exceptional leadership, communication, negotiation and stakeholder management capacity are all essential qualities sought, as is the warmth, empathy, good humour, integrity and credibility necessary to inspire others to follow. Minda is an iconic and enduring South Australian organisation that will continue to serve and add value to its many and diverse stakeholders. Make an enquiry to be part of its bright future. Applications should be addressed to Justin Hinora and Andrew Reed. Please click the Apply Today button to submit your application. For a confidential discussion, please call (08) 8100 8849. The Department for Environment and Water (DEW) aims to help South Australians conserve, sustain and prosper. It facilitates community involvement in and taking responsibility for the environment and acts as a steward for the State’s natural resources to enable sustainable development. DEW is a custodian of national parks, botanic gardens, heritage places and Crown Lands for public benefit and is an authority on the State’s environment and natural resources to help good, long term decision making. The Department seeks to actively and sustainably manage the State’s water resources, including the River Murray. ensuring strong and productive relationships, networks and partnerships are established and maintained, and acting as a strategic interface between various stakeholders in the effective provision of support to a range of Boards and Councils and the delivery of plans and programs. Applications are invited from suitably qualified and experienced senior executives with the superior leadership, stakeholder relationship building, diplomacy, pragmatism, authenticity, credibility, respect, integrity and drive required to be successful in this senior leadership role. making an active contribution to the overall leadership and effective operation of the Department. Minda is a vibrant, innovative and progressive “profit-for-purpose” organisation which exists to support people with disabilities across South Australia. It is a large, complex, multi-faceted organisation with a portfolio that includes service delivery, commercial enterprises, housing and retirement living, supported employment, lifestyle services and respite, and services approximately 3,500 people. Minda is a values based organisation that celebrates passion, respect, accountability, innovation, success and ethical behaviour. With a newly appointed CEO, Dr Clare Allen, Minda is currently undergoing a transformational change in leadership and this has created a unique set of opportunities for strategic governance professionals to join and/or support the Board. coordinating and lodging licensing applications, periodic returns and other statutory requirements, whilst maintaining positive relationships with relevant statutory bodies. Applications are invited from qualified legal or finance professionals with demonstrated experience in managing broad corporate secretarial, regulatory and compliance obligations. Also important are highly developed skills in applying relevant interpretive legislation in a comparable industry domain, well developed communication and negotiation skills and the ability to provide high level advice to senior decision makers. A senior remuneration package will be offered to secure a high calibre candidate keen to add value as a trusted advisor within this people focused organisation. Clarke Energy is one of the fastest growing power generating companies in the South Pacific. Specialising in engineering, installation and maintenance of reciprocating engine based power plants, Clarke Energy provides customer focused solutions ranging from supply of an engine, through to turn-key installation of multi-engine power plants. Reporting to the Product & Marketing Manager, the primary objective of this important and often autonomous role is the provision of technical, cost estimating and documentation support during the product and services sales process. Focusing on applications engineering to support a solutions selling ethos and the utilisation of the wide range of power generation solutions Clarke Energy can provide to its customers this role will drive tenders and commercial proposals in conjunction with the sales team. While a predominantly internally facing, this role will need to have strong stakeholder management skills and the capacity to build effective working relationships over long lead tender processes. preparation of estimates for use by management to plan organise and schedule work. Applications are encouraged from experienced technical sales support professionals ideally with mechanical or electrical engineering qualifications or comparable skills from associated disciplines, who possess the ability to analyse customer needs and produce estimations and other documentation to clearly articulate cost effective solutions. Energy industry experience is not essential but exposure to technical estimation and sales in a comparably complex domain will naturally be a distinct advantage. This role will suit an emerging or proven professional and presents a unique opportunity to join a buoyant entity which supports and directly interfaces with a range of key growth industries across Australia. Applications should be addressed to Andrew Reed. Please click the Apply Today button to submit your application. For a confidential discussion, please call Christian Gaszner on (08) 8100 8830. Since 1950, Life Care has worked to create communities where people embrace life and “Live Every Day”. Its vision is to be a premier provider of services and accommodation for older people. Life Care views clinical governance and the safety and wellbeing of its clients as a paramount priority. An opportunity has emerged to chair the Risk Management Committee of the Board. the ability to further develop, model and champion a culture of risk awareness and management that permeates the whole organisation. Applications are encouraged from appropriately qualified professionals with demonstrated experience leading and influencing clinical services and standards within a highly regulated environment during periods of transformation. High levels of clinical, commercial and political acumen, complemented by exceptional leadership, communication, negotiation and stakeholder management capacity are all essential qualities sought, as are the warmth, empathy, good humour, integrity, instinct, curiosity, courage and credibility necessary to ensure best practice in this discipline. Propositions to chair the Committee alone or to join Life Care as a full Board Member will both be considered. An appropriate fee will be negotiated accordingly. This is a significant and pivotal time for a suitably qualified individual to join a critical sub-committee of the Board and add genuine value to this worthy and respected South Australian entity to continue to make a true difference in the community. Applications should be addressed to Justin Hinora and Andrew Reed. Please click on the Apply Today button to submit your application. Located in the high technology business cluster in Mawson Lakes in northern Adelaide, Ultra Electronics (Avalon Systems) is the Australian headquarters of a global entity and provides innovative technical expertise and solutions to the burgeoning defence sector. With around 70 staff and long term contracts, the future for the business is bright. developing, implementing and maintaining effective employee records systems and reporting on relevant HR metrics. Applications are invited from experienced people and culture executives with appropriate tertiary qualifications and superior communication, negotiation, management, coaching and strategic thinking skills. Leadership experience in developing the human capital solutions for a diverse and customer centric entity will be critical. Pragmatism, intuition, integrity, commercial acumen, judgement, drive, energy, credibility and authenticity are also important qualities sought. Applicants must be able to hold a defence security clearance - Secret. This true generalist HR and safety leadership position represents an exciting career opportunity with a growing business supporting a flagship SA industry sector. With its head office in Adelaide, 80 dedicated staff and a turnover approaching $20m, HAMB Systems Limited (HAMBS) is an Australian company owned by 22 private health insurance funds across Australia. For over 25 years, the sole objective of the company has been to provide ongoing application software development, technical support and a selection of secure wide area network services, including application hosting, to the member funds. The Board is comprised of a number of the CEOs of the member funds and now seeks an accomplished governance and ICT professional to play a pivotal independent role in ensuring the future success of the organisation. Applications are invited from highly credible ICT executives with the capacity to convert technical skill and extensive experience to the benefit of this important member focussed organisation. Bringing an independent and external perspective to the Board table, the successful candidate will also play a pivotal role in ensuring financial sustainability, contributing to the overall corporate vision, advising on trends, risks and threats and proactively supporting a positive culture in line with the mutual ethos of HAMBS. Previous Board experience is essential along with unequivocal and proven capacity to drive ICT strategy. Strong commercial and legal acumen complemented by a keen eye for risk and opportunity will also be highly regarded attributes. The Organisation values integrity, collaboration, EQ, curiosity, diplomacy, empathy and commercial judgement. Appropriate annual fees will be negotiated with a high calibre non-executive director who can add genuine value to the entity and ultimately and most importantly – the customers. For a confidential discussion, please call either Andrew or Lucy Dinnison-Mitchell on (08) 8100 8849. Established in 1988, La Casa Del Formaggio is a highly successful company utilising traditional Italian cheese making techniques to supply a diverse customer base across Australia, including Woolworths, Coles, Aldi and Costco. The company is embarking on a period of exciting change and growth, with recently announced plans to develop a 10,000 square metre world class fresh cheese production facility in South Australia. The facility will position the company as a globally competitive fresh cheese manufacturer and consolidate La Casa Del Formaggio’s current position as a leading fresh cheese manufacturer in Australia. developing and implementing an effective HR policy framework and management plan. Applications are invited from appropriately qualified human resource professionals with a contemporary, proactive and energetic approach, and the proven ability to positively engage with stakeholders and work effectively in a team environment at all levels of the organisation. Exceptional communication and interpersonal skills, high attention to detail, resilience, credibility and initiative are all critical for success in this role. A strong working knowledge of industrial relations legislative frameworks and practical experience communicating and advising on Awards and EBA’s is essential. Experience in a manufacturing environment or similar will be ideal, however is not essential. This true generalist HR position represents an exciting career opportunity with an iconic SA business. For a confidential discussion, please call Andrew or Lucy Dinnison-Mitchell on (08) 8100 8830.
providing backup support for accounts payable and payroll. Applications are encouraged from appropriately qualified finance professionals with previous experience in a hands on accounting position, ideally in a manufacturing environment or similar. Strong written and verbal communication skills will be essential as you will need to build relationships and communicate with people across the business in order to provide accurate, timely, high quality information and decision support. The successful applicant must be highly motivated with excellent attention to detail, strong Excel skills, initiative and commercial acumen. Experience using NetSuite will be highly regarded, however is not essential. The remuneration for this position is anticipated to be circa $90K total package. This is a fantastic career opportunity to utilise and build on your existing skills and knowledge, and join a well-respected, national business. The South Australian Tourism Commission (SATC) is an organisation playing a key role in South Australia’s economic future. The SATC is focused on marketing our state to national and international audiences and bringing new and exciting events, conferences and festivals to South Australia. Currently the SATC is committed to growing South Australia’s visitor economy to $8b by 2020. SATC, through its events arm, Events South Australia, owns and manages some of SA’s biggest events such as the Santos Tour Down Under, Superloop Adelaide 500 and Tasting Australia. Reporting to the Executive Director, Events South Australia, this pivotal leadership role will take the lead for the generation of income through sponsorship, partnerships and hospitality, in order to grow SATC’s events and create social and economic benefits in South Australia. Immediate applications are invited from applicants who are able to demonstrate proven success in a commercial sales management role or similar with strong client management and relationship management skills across diverse stakeholder groups. Sound business acumen and proven results in revenue growth in the corporate arena are essential. Tertiary qualifications in commerce, communications or marketing will be highly regarded as will an understanding of the local sports, arts and entertainment sectors. This is a rare opportunity for an individual with a genuine passion for events and the growth of the South Australian economy to join the State’s largest tourism organisation to make a significant contribution both to the economic and cultural heart of South Australia. Applications should be submitted without delay and addressed to Justin Hinora. Please click on the Apply Today button to submit your application. For a confidential discussion, please call either Justin or Christian Gaszner on (08) 8100 8849. Minda is a vibrant, innovative and progressive “profit-for-purpose” organisation which exists to support people with disabilities across South Australia. It is a large, complex, multi-faceted organisation with a portfolio that includes service delivery, commercial enterprises, housing and retirement living, supported employment, lifestyle services and respite, and services approximately 3,500 people. Minda is a values based organisation that celebrates passion, respect, accountability, innovation, success and ethical behaviour. driving operational innovation and continuous improvement to maximise the wellbeing of Minda’s clients. Applications are encouraged from appropriately qualified and proven senior executives with demonstrated experience leading transformational operational change within a human services organisation in an environment of reform. High levels of commercial, clinical and political acumen, complemented by exceptional leadership, communication, negotiation and stakeholder management capacity are all essential qualities sought, as is the warmth, empathy, good humour, integrity and credibility necessary to inspire others to follow. This is a significant and pivotal time to join a newly forged executive team and add genuine value to this most worthy and iconic South Australian entity making a true difference in the community. Centennial Park provides a stunningly beautiful community space that connects people through a rich tapestry of gardens, services, events and histories. The dedicated team at Centennial Park embody compassion, inclusion, excellence and innovation as they strive to serve the South Australian community as the pre-eminent provider of cemetery, cremation and memorialisation services. effectively managing relationships with internal customers and external stakeholders, including contractors and vendors. Applications are encouraged from appropriately qualified ICT professionals with a positive, practical and hands on approach, high attention to detail, and well developed interpersonal, customer service and negotiation skills. The ability to engage, built rapport, communicate effectively and understand the needs of cross functional teams and a range of diverse stakeholders will be critical. This is an excellent opportunity for a capable and proactive IT professional to contribute to this highly customer centric, forward looking organisation dedicated to commemorating and celebrating life. Our client is a South Australian based subsidiary of a well-known global entity with a product portfolio that is sourced from all over the world. With approximately 15 staff in the corporate office located in the Adelaide CBD, and a top tier industrial customer base, our client now seeks to appoint an experienced professional to play a key role in the logistics and supply activities of the South Australian operations. support sales activities as needed. Applications are invited from candidates with demonstrated experience in logistics and supply chain management or related operational roles within organisations that deal with global suppliers and regularly procure and move industrial quantities of material or freight. With sound working knowledge of logistics and supply systems and a strong analytical skill set, the successful candidate will have the ability to work autonomously whilst engaging, communicating and negotiating with a variety of internal and external stakeholders. Well-developed interpersonal skills and a structured approach to planning, reporting and evaluating activities will be vital components for success in the role. Don’t miss this opportunity to join and develop your career with this growing, Adelaide based satellite business as it continues to service its diverse customer base. For a confidential telephone discussion, please call Christian Gaszner on (08) 8100 8849. Sweat is the driving force behind the largest health and fitness app in the world, featuring renowned personal trainers including Kayla Itsines, Kelsey Wells, Sjana Earp, Stephanie Sanzo and Chontel Duncan. Driven by success and energised by the future, Sweat continues to experience growth worldwide with a global reach extending to over 195 countries. An exciting and rare opportunity has emerged within this burgeoning Australian success story. Reporting to the newly appointed Chief Brand and Marketing Officer, Michael Scott, and working closely with the CEO, Tobi Pearce, this role has a truly global focus managing multiple brands, each with a different tone of voice. procurement of large scale events. Given the enormous impact this business is having on the digital, data and subscription markets, this role has the genuine potential to future proof you as a practitioner for the foreseeable future! For a confidential discussion, please call +61 8 8100 8829.
sonnen believes clean, affordable, and reliable energy for all is one of the greatest challenges of our time. sonnen is a proven global leader in intelligent energy management solutions that provide greater energy control for residential customers – contributing to a cleaner and more reliable energy future. It is with great excitement that sonnen has recently opened its major home battery manufacturing plant in Elizabeth, South Australia. The plant is expected to produce 10,000 batteries a year for households in Australia, New Zealand and the Asia Pacific. With the recent launch of the Home Battery Scheme, up to 40,000 households in South Australia will be eligible for subsidies to install sonnenBatterie systems under the $100 million government rebate scheme. In addition to manufacturing, the Elizabeth site also accommodates sonnen’s Australian headquarters and its central Asia Pacific shipping facility. What a time to join the sonnen family! This is a unique combination of an exciting greenfield start-up with the stability and backing of a strong, established, and rapidly growing international business. Reporting to the Managing Director, Operations and Finance, this influential role will be responsible for delivering cross functional business processes and programs and driving key change management initiatives. It will also review a diverse range of business processes, frameworks and requirements to drive improved efficiencies and business outcomes. It will champion and lead the development and implementation of comprehensive project management frameworks, tools and reporting across the business. This is a dynamic, fast paced environment that will require you to be resourceful and confident in interacting with a range of internal stakeholders in the Australian and German sonnen teams to understand existing processes, and adapt and develop process and project improvement strategies to support collaborative and consistent practices. You will work with all areas of the business to identify opportunities to achieve process efficiencies from the manufacturing plant through to sales, installation and business support services. Passion is a word you will hear a lot at sonnen. You may ask why? sonnen is passionate about making a difference and working with likeminded people. That is what makes them a success. Your passion and motivation for this role will be key. Applications are encouraged from appropriately qualified candidates in business, change/project management or a related field, with proven experience in business process improvement. You will be well versed in the project management discipline with the ability to work collaboratively across the business to build process and project management capability, and facilitate successful uptake of continuous improvement initiatives and processes. Qualifications or experience in Lean, Six sigma or similar relevant methodologies will be highly valued.You will have extensive experience analysing and mapping business and functional requirements along with the design, updating and maintenance of process and policy documentation. Ideally you will have experience working in a technical environment (IT, advanced manufacturing, renewable energy etc), or the ability to transfer your relevant experience to quickly understand business requirements. Experience working with SAP will be highly regarded. Other important qualities include highly effective communication and collaboration skills, the ability to work with ambiguity, prioritise competing deadlines and utilise your strong business acumen whilst remaining focussed at all times on the business and customer experience. This is an outstanding opportunity to develop with and contribute to the growth of a dynamic entity in the renewable energy sector. sonnen has invested in South Australia and this is your opportunity to invest in the future of our state and the renewable energy sector. Are you a lateral thinker? An idealist? A visionary? A free spirit? A world changer? Then you are a sonnenWarrior. You determine your own future. You never content yourself with what is. You love innovation, and let yourself be inspired and enthuse others. You network with people openly, here and now. You are a radiant bundle of energy. The sun (or Sonne as it is known in German) always shines on your face. This is the essence of sonnen – have big goals and tackle opportunities clearly and cleverly. For a confidential discussion, please call Lucy Dinnison-Mitchell or Justin Hinora on (08) 8100 8827. Raising Literacy Australia is an iconic South Australian not-for-profit organisation committed to enriching lives through literacy. The organisation supports families to read, talk, play and sing with their children from birth; providing books and resources to nurture children and encourage parents’ engagement in their child’s early learning. After a long and successful stewardship the current Chair, is relinquishing the role. Accordingly Raising Literacy Australia is seeking a new Chair to lead the organisation into the next phase of its development and complement the skills of existing Board members. This is a part-time, voluntary position for a candidate who possess a successful track record in senior executive and/or non-executive positions. Sound business and commercial acumen and contemporary corporate governance knowledge, together with excellent communication, business and philanthropic development, will also be required. Education sector experience and GAICD status will be an advantage but are not prerequisites. Importantly, applicants will need to demonstrate an authentic motivation to contribute their passion and expertise to the governance of an organisation making a tangible difference in the lives of children and their parents. Expressions of interest from both emerging and seasoned governance professionals will be considered. This is a rare opportunity to make a genuine and valuable contribution to the strategic direction of this prominent South Australia institution. Credit Union SA is one of South Australia’s largest credit unions, with over 50,000 people trusting it to provide their everyday banking needs from savings accounts to home loans and, with $1b in assets, it helps South Australians do more with their money. Being customer owned and locally based, Credit Union SA is dedicated to delivering valued and competitive financial services to South Australians and is poised for further growth. Following the creation of the Credit Union’s new Member Experience Centre in the Adelaide CBD, three new management positions have been created to lead frontline teams which will encompass face-to-face engagement as well as phone based and digital interaction. Performance Managers will be responsible for the preparation and implementation of strategic and operational plans for team success by delivering on expected outcomes. the development of a business development plan to drive end to end member experience and service delivery for the team. Applications are sought from appropriately qualified leaders with demonstrated experience leading large service and sales teams in a fast paced, dynamic B2C customer facing or contact centre environment. You will be a highly motivating and engaging coach and leader with a natural ability to inspire, develop and reward individual and team performance. Previous experience in financial services is not essential. These are rare leadership roles offering the opportunity to contribute to the success of others and ensure positive customer outcomes in a member centric environment. Applications should be submitted to Andrew Reed. Please click on the Apply Today button to submit your application. Mellor Olsson is a leading South Australian law firm offering a comprehensive range of legal services. With a history spanning over 100 years, today Mellor Olsson continues to strengthen and grow as a firm with three offices across the State and employing over 90 staff and Partners. overseeing the delivery of ongoing operating and financial efficiencies and performance improvements. This position will suit an appropriately qualified and highly accomplished executive who can demonstrate a successful track record of leadership in a comparable business. An understanding of the dynamics of a privately owned professional services firm will be a distinct advantage but is not essential. Amongst the higher level skills sought are innovative thinking, diplomacy, credibility, authenticity, proactivity, vision, strong influencing and advocacy capabilities, commercial and political acumen, and genuine leadership qualities. A highly attractive executive remuneration package will be negotiated to secure a consummate professional capable of leading this important and successful SA organisation. Make an enquiry to explore this genuinely rare and career defining opportunity with a proven and respected provider. For a confidential discussion, please call Christian Gaszner on (08) 8100 8849. Workskil Australia is a national not-for-profit organisation, providing a multitude of programs across employment, youth, community and Indigenous services. Workskil Australia has over 35 proud years of supporting Australians to achieve sustained economic and social self-reliance and currently has a talented team of over 750 staff working across 70 locations in South Australia, Victoria, New South Wales and Western Australia. Reporting directly to the Chief Executive Officer, this newly created Adelaide based role is intended to provide oversight to the operations of the organisation as a whole, working closely with the Executive Team to ensure high quality delivery of operational services across all of Workskil Australia’s programs. implementing and managing national supply arrangements for key operational services. This role will suit executives who thrive in a complex fast paced business that is constantly evolving. Previous experience in Employment Services is ideal, or in related sectors having had exposure to organisations of a similar size and complexity. The successful candidate will be willing to engage with the locations, the role and the services provided, leading from the front with exceptional people management skills and strong commitment to Workskil Australia’s vision, mission and values. High level commercial acumen, complemented by strong leadership, communication, negotiation and stakeholder management skills will all be important qualities in the successful candidate. This role offers a rare opportunity to be part of an ever growing Adelaide based organisation with national reach and will require frequent interstate travel. For a confidential discussion, please call Christian Gaszner on (08) 8100 8827. Since 1993, Hender Consulting has been providing executive search, recruitment and associated services with an unwavering client focus and complete commitment to quality, integrity, authenticity, confidentiality, objectivity, responsiveness, independence and trusted advice. The firm now handles clearly more senior executive appointments than any other South Australian business and is widely regarded as the leading provider of executive search and selection in SA. This is underpinned by a significant portfolio of senior appointments. For the last decade or more, Hender Consulting has, on average, appointed a CEO or equivalent role every 24 days and two General Manager (C Suite) or Manager roles every week. Please click on the PDFs below for a list of past appointments we have facilitated. Importantly, and as evidence of the satisfaction with the Hender service, virtually 100% of our work is repeat business, via referral or generated by selective tenders. We are also regularly re-engaged to recruit for executive positions years later after a successful appointee retires or moves on to a new opportunity. Since 1993, Hender Consulting has been providing six core professional services within the human resources domain. We are regularly engaged to search for key executives and managers locally, nationally and internationally. We invite you to review our Track Record and an extensive list of significant executive searches. The firm utilises a wide range of high profile print and online advertising mechanisms to attract a competitive field of applicants for key executive and management positions across South Australia. We invite you to review our Track Record for an extensive list of executive appointments. Many of our clients engage us to provide independent remuneration advice in regard to executive, management and technically specialised positions. Due to our extensive and consistent recruitment activity across most industries, we are able to keep a constant finger on the pulse of remuneration trends in the South Australian marketplace. We are regularly engaged to conduct confidential independent executive appraisals for a range of public and private entities. Due to our extensive professional networks, the firm is regularly engaged to identify and appoint Non Executive Directors for both the commercial and not for profit sectors. The highly experienced Hender Consultants are regularly engaged to provide formal and informal advice in the areas of human resources strategy, succession, retention, leadership, structure and culture. At Hender Consulting, we take an ethical approach to recruitment and associated services for our client – the employer. To this end, and due to the inherent conflict of interest that it creates, Hender Consulting does not provide commercial executive mentoring or coaching for candidates but can recommend highly competent providers of such services. We are also not providers of industrial relations legal advice but can refer you to appropriate professionals from our extensive and trusted networks. At Hender Consulting, our consultants and support professionals are carefully chosen based on experience, professionalism, authenticity, integrity, judgement and unwavering client focus. The firm has a remarkable and uncommon record securing and retaining some of the most experienced professionals in the industry and beyond. For more information on our highly experienced and stable consulting team click on the names below. Andrew joined Hender Consulting as a Senior Consultant in 2002, progressed to the Principal Consultant position and was appointed as General Manager in 2016. His qualifications include a Bachelor of Economics from the University of Adelaide and a Graduate Diploma in Education. Prior to his consulting career, Andrew spent 15 years in leadership roles within the independent school sector. During his time with the firm, Andrew has been entrusted by a diverse range of public and private entities to assist with the executive search for and appointment of the most pivotal roles within the organisation. He has recruited literally hundreds of Chief Executives, General Managers and other senior executives along with over 30 school Principals (see track record for more detail). Andrew also provides high level strategic people and culture advice and consulting services such as independent executive appraisals, remuneration advice and structural reviews. In addition, he regularly partners with Boards in the search for and appointment of Non Executive Directors and regularly presents on leadership and broader people and culture matters. Justin joined Hender Consulting in 2004. His qualifications include a Bachelor of Arts with a major in Legal Studies, Diploma in Human Resource Management and he is an active member of the Australian Human Resources Institute. Prior to joining Hender, Justin spent nearly 5 years with an Adelaide based international professional services firm. Throughout his extensive career in executive search and recruitment, Justin has been engaged by a diverse range of public and private entities to assist with the executive search and recruitment of literally hundreds of senior executive positions, including some of the most high profile and public appointments. Justin’s consulting experience extends to CEO and GM appraisals, remuneration reviews and organisational structure advice. Gill has over 25 years experience as a recruitment consultant in both the executive and administration fields, sourcing candidates for permanent as well as contract roles. Since joining Hender Consulting in 2004, Gill has worked in permanent executive recruitment and search across a broad range of industries including federal, state and local government, professional services, financial services, health, aged care, education, the arts, wine, retail, manufacturing and a range of not for profit organisations. She has ably assisted clients across a variety of disciplines including CEO and general management, human resources, finance, business development, marketing and communications, fundraising and sponsorship, project management, contract management, facilities management, engineering, planning, governance and corporate services. Prior to joining the recruitment industry, Gill held generalist human resources positions within the retail sector and state government. Lucy joined Hender Consulting in 2015 as a Research and Support Consultant, progressing to a Consultant position in 2016. Her qualifications include a Bachelor of Laws and Bachelor of Development Studies from the University of Adelaide. Prior to starting at Hender, Lucy held a broad administration role with a private engineering and manufacturing company during her studies at University. Lucy’s primary role within the Team as a Consultant is to provide support to the Executive Consultants by drafting job advertisements, appraisal and remuneration reports, interview assistance, executive search and research, reference checking and resume analysis. With a natural affinity for the not for profit and community sector, Lucy currently volunteers for a Cambodian education focussed foundation, the Ponheary Ly Foundation, and is a Refugee Employment Mentor at the Red Cross. Christian joined Hender Consulting in 2018 after diverse experiences with local and national not for profit organisations. He holds a double degree in Law and Psychological Science from the University of South Australia also completing exchanges to French and German business schools during his studies. Christian provides important support to our Executive Consultants drafting job advertisements, appraisal and remuneration reports, providing interview assistance, and conducting talent mapping, research, executive search, reference checking and resume analysis. Prior to joining our team, Christian also worked extensively as a coach developing confidence and leadership skills in young people to ensure enhanced performance in a team based setting. He was also engaged as an Outdoor Professional instructing sailing and rock climbing activities throughout South Australia. Christian complements his focus on leadership with strong communication and collaboration skills to add value to our clients. Julieann joined Hender Consulting in 2017 as an Executive Assistant to the General Manager and Team Coordinator. Prior to starting at Hender, Julieann worked in senior support roles in the manufacturing industry. Julieann brings a broad range of experience in office administration, including Executive Group support, maintaining confidential and sensitive materials, calendar management and complex travel logistics. Erin joined Hender Consulting in 2013 as an Executive Assistant. Prior to starting at Hender, Erin held broad administrate support roles within the creative and advertising industries. Erin’s role provides the consulting team with administrative support including confidential candidate and client communication, diary management, reporting, arranging travel, and scheduling and executing print and online advertising. She also plays a critical support role in capturing, summarising and proofing confidential information for appraisals, proposals and associated documents. Joining Hender in 2017, following a successful career in diverse administration support roles in the retail sector, Stevie is the key first point of contact for the Division. She also manages a diverse range of executive support and administrative functions to ensure positive, responsive and professional services to both client and candidate alike. 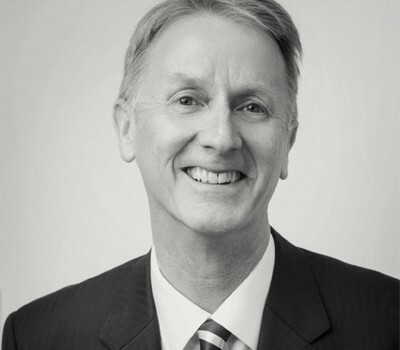 Mark Hender is one of Australia’s most experienced executive recruiters, having worked in the industry for more than 30 years. Mark established Hender Consulting in 1993 and is the Managing Director of the Hender Group. At Hender Consulting we are committed to providing the best service for our clients while ensuring a positive candidate experience. We understand that employment changes can be a time consuming, emotional, challenging, and – ultimately – a career defining process. When applying for a role through Hender Consulting you can be assured of a professional, responsive and confidential experience. When applying for a position, we strongly encourage a cover letter to accompany your resume. This letter should capture your motivation and transferable skills and experience. We also recommend that your resume ideally has your qualifications and a career summary (date, entity, position) on the front page. We encourage a separate application for each position. We will not register you against a specific role unless you express an explicit interest. It is advisable to send applications from a secure or private email address as you will receive an auto response confirming receipt. At the end of a recruitment process, we will keep your resume and contact details on our system in accordance with our Privacy Statement unless you request they are removed. You may then be contacted in the future regarding different opportunities. As part of our standard due diligence, we confirm any claimed qualifications with the relevant institution and encourage you to only list qualifications that can be verified. Please indicate if any qualification commenced was not completed or conferred.